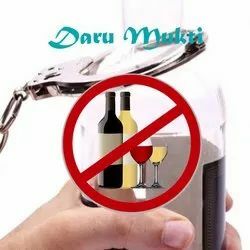 This is Ayurvedic medicine to quit from alcohol addiction . The medicine does not have any side effects and any food diet control is not required .This Ayurvedic medicine is safe to use for the patients with diabetes and blood pressure and even for patients with heart diseases. · Hangovers : Headaches, nausea, vomiting, aches and pains all result from drinking too much. Drinking to the point of drunkenness makes you sick. · Weight gain : Alcohol is not water. A beer has about 150 "empty" calories that provide few if any nutrients. · High blood pressure :Along with being overweight, high blood pressure is associated with many serious health problems. · Liver disease : Heavy drinking can cause fatty liver, hepatitis, cirrhosis and cancer of the liver. The liver breaks down alcohol at the rate of only one drink per hour. Alcohol addiction hinders your health. In spite of knowing this undisputed truth, many people are unable to come out from this alcohol addiction loop. The dependence on drinking is so strong that most of the people who are addicted to alcohol fail in their give up challenges and relapse within the first couple of days. However, the rewards gained from transforming addiction life to life of recovery are immeasurable and worth giving effort. 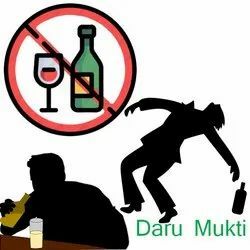 It is always advisable to stay away from health-hazardous drinks like alcohol. However, occasional drinking is acceptable. Still, many are under the confusion if there is a need for them to attend alcohol de-addiction program to quit drinking. A person that is habitual has to suffer from many alcohol side effects, not only in terms of health but family relationships as well. These side effects even disturb mental and physical abilities of the person, making him a work-adverse. It results in losing his career options as well. Alcohol de-addiction programs are designed to bring the person to a sober life. There are many alcohol rehab programs that help him to get rid of this bad habit. These programs may require you to stay in the rehab center for a quite good time in order to stay de-addicted from the consumption. For most of them, it is not possible as they are pretty occupied with balancing their family life and work life. 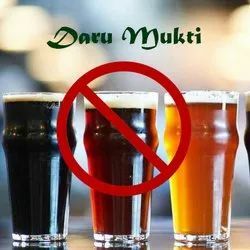 Here comes the role of Navchetna Daru Mukti organization. 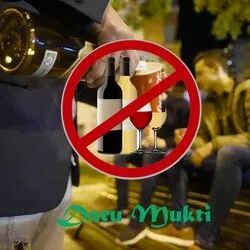 They are offering Nasha mukti powder,Daru Mukti Powder, which is regarded as the best alcohol de-addiction method intended to help the people who want to quit drinking while they handle their life and work responsibilities effectively. India is a country known for its superiority in the field of Ayurveda, many health issues that are difficult for the allopathic medicine to handle are effectively cured by this ayurvedic medicine. 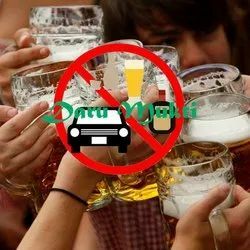 Nasha Mukti powder is one such ayurvedic alcohol de addition medicine that has proven results for the people who want to quit alcohol drinking easily. The presumption of experiencing side effects from the de-addiction medicine is keeping many away from taking it. 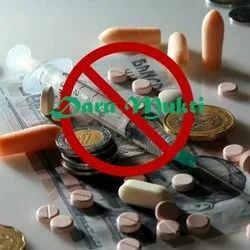 This best Nasha Mukti medicine in India is manufactured using the combination of herbs and natural products available that are free from any side effects. 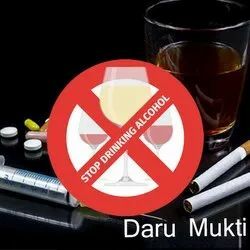 You can buy this best alcoholic de-addiction medicine in Hyderabad even if you want your loved ones to keep away from the alcohol addiction. The de addiction medicine can easily be consumed without coming to anyone notice with food. The best thing about this is it cannot change the colour when mixed with the food. You can experience the symptoms of de-addiction within the period as short of 15-20 days. If you are looking for the permanent result, the course should be taken for 5 to 6 months as the Nasha Mukti powder is a combination of herbs and natural ingredients. It is free from any side effects. This excellent ayurvedic alcohol de addiction medicine helps you stay detached from alcohol addiction from the comfort of your home. How to quit alcohol consumption easily?Alcohol addiction hinders your health. In spite of knowing this undisputed truth, many people are unable to come out from this alcohol addiction loop. The dependence on drinking is so strong that most of the people who are addicted to alcohol fail in their give up challenges and relapse within the first couple of days. However, the rewards gained from transforming addiction life to life of recovery are immeasurable and worth giving effort. 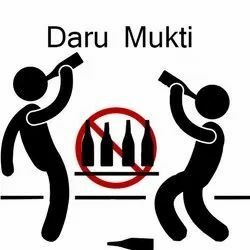 It is always advisable to stay away from health-hazardous drinks like alcohol. However, occasional drinking is acceptable. 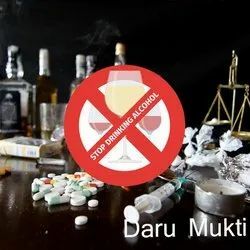 Still, many are under the confusion if there is a need for them to attend alcohol de-addiction program to quit drinking.Are you also addicted?A person that is habitual has to suffer from many alcohol side effects, not only in terms of health but family relationships as well. These side effects even disturb mental and physical abilities of the person, making him a work-adverse. It results in losing his career options as well. Alcohol de-addiction programs are designed to bring the person to a sober life. There are many alcohol rehab programs that help him to get rid of this bad habit. These programs may require you to stay in the rehab center for a quite good time in order to stay de-addicted from the consumption. For most of them, it is not possible as they are pretty occupied with balancing their family life and work life. 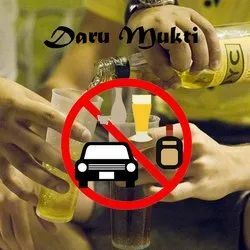 Here comes the role of Navchetna Daru Mukti organization. 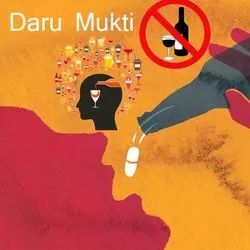 They are offering Nasha mukti powder,Daru Mukti Powder, which is regarded as the best alcohol de-addiction method intended to help the people who want to quit drinking while they handle their life and work responsibilities effectively.Find the solutionIndia is a country known for its superiority in the field of Ayurveda, many health issues that are difficult for the allopathic medicine to handle are effectively cured by this ayurvedic medicine. 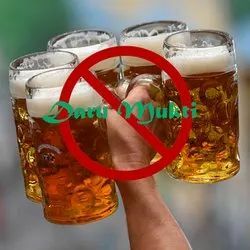 Nasha Mukti powder is one such ayurvedic alcohol de addition medicine that has proven results for the people who want to quit alcohol drinking easily. The presumption of experiencing side effects from the de-addiction medicine is keeping many away from taking it. 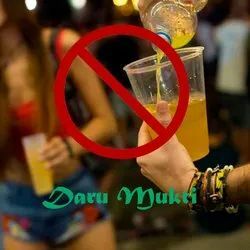 This best Nasha Mukti medicine in India is manufactured using the combination of herbs and natural products available that are free from any side effects.You can buy this best alcoholic de-addiction medicine in Hyderabad even if you want your loved ones to keep away from the alcohol addiction. The de addiction medicine can easily be consumed without coming to anyone notice with food. The best thing about this is it cannot change the colour when mixed with the food. You can experience the symptoms of de-addiction within the period as short of 15-20 days. 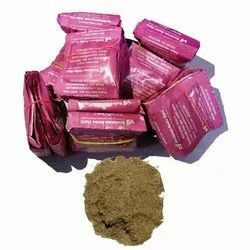 If you are looking for the permanent result, the course should be taken for 5 to 6 months as the Nasha Mukti powder is a combination of herbs and natural ingredients. It is free from any side effects. This excellent ayurvedic alcohol de addiction medicine helps you stay detached from alcohol addiction from the comfort of your home. Alcohol addiction is a psychosomatic disorder. The power of addiction, recurrence of alcohol admission, kind of alcohol utilization differs for every person. Maybe a couple may drink during that time while others may drink just at a certain time. You are said to be alcohol reliant or dependent on alcohol when you expend an abundance of alcohol for a delayed span, which influences your wellbeing and you can’t stop because of extreme withdrawal symptoms. Even when almost everyone is aware now regarding alcohol and its effects, it is quite hard for the addicted ones to give up alcohol. Drinking alcohol is easy, but when it comes to giving it up, then it is for sure that you will be needing the right help. 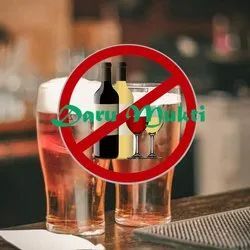 When it comes to the proper treatment of Alcohol addiction, then it is for sure that you will be able to have a proper and trusted way out with Ayurveda. The demand for the same is increasing day by day and that is the reason that you can have the best options with this medication that is utterly without any kind of side effect. 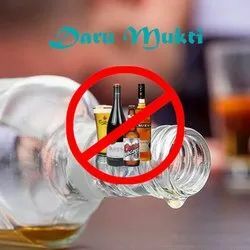 For using Ayurveda for the de addiction purpose, now you will have to find the best Alcohol De Addiction Medicine Supplier so that you can get the medicines in their best parts. The medicines are mainly available in the powder forms and should be used for 15 days. With a dosage of ½ sachet a day and then 1 sachet a day, the changes will be visible. You may use this medicine with the knowledge for the addicted person, or you may not reveal it all. But the main thing is that you will have to make sure that the course is followed up properly. Be it the veg food items or the non veg food items, you will be able to make use of the medicine in any as there will not be any kind of indication for change in taste or anything. The result will be 100 percent perfect in every way. The Ayurveda home grown medication for Alcohol enslavement is protected and has no reactions. It is a mix of numerous herbs. It is in powder frame and pressed in little sachets as indicated by day by day portions, give 1 sachet every day. It very well may be given with or without the learning of the dependent individual by blending in any of the veg or non-veg sustenance thing without changing the shading or taste of that nourishment thing. The natural powder can be sprinkled on Cooked nourishments, can be blended with veg and Non-veg Curries, Fruit juices, stuffing of parantha, curd, Daal, omelet and so on. On the off chance that you yourself need to take the prescription, you can take it with water. Results can be found in 15 - 20 days that the craving for liquor gets diminished. Prescription is to be proceeded for 5-6 months. This drug likewise conceals the withdrawal side effects up to a degree. It additionally helps in enhancing the liver capacity and detoxifying the body. This is 100 percent ensured beyond any doubt Ayurvedic medication to stop from fixation. The medication does not have any reactions and any sustenance diet control isn't required.T his Ayurvedic prescription is protected to use for patients with diabetes and circulatory strain and notwithstanding for patients with heart infections. The Ayurveda home grown prescription for Alcohol dependence is protected and has no reactions. It is blend of numerous herbs. It is in powder frame and pressed in little sachets as indicated by day by day dosages, give 1 sachet day by day. It very well may be given with or without the learning of the dependent individual by blending in any of the veg or non veg nourishment thing without changing the shading or taste of that sustenance thing. The home grown powder can be sprinkled on Cooked nourishments, can be blended with veg and Non veg Curries, Fruit juices, stuffing of parantha, curd, Daal, omelet and so forth. On the off chance that you yourself need to take the drug, you can take it with water. Results can be found in 15 - 20 days that the longing for liquor gets diminished. Prescription is to be proceeded for 5-6 months. This drug additionally conceals the withdrawal side effects up to a degree. It likewise helps in enhancing the liver capacity and detoxifying the body. This is 100 percent ensured beyond any doubt Ayurvedic drug to stop from habit. The drug does not have any symptoms and any nourishment diet control isn't required. This Ayurvedic medication is protected to use for the patients with diabetes and circulatory strain and notwithstanding for patients with heart illnesses. We are putting forth Alcohol Drink De Addiction Medicine. The Ayurveda natural prescription for liquor, smoking and tobacco is sheltered and has no symptoms. It is blend of numerous herbs. It is in powder shape and pressed in little sachets as indicated by every day portions, give 1 sachet day by day. It very well may be given with or without the information of the dependent individual by blending in any of the veg or non veg sustenance thing without changing the shading or taste of that nourishment thing. The natural powder can be sprinkled on Cooked sustenances, can be blended with veg and Non veg Curries, Fruit juices, stuffing of parantha, curd, Daal, omelet and so on. On the off chance that you yourself need to take the medication, you can take it with water. Results can be found in 15 - 20 days that the craving for addictions gets decreased. Prescription is to be proceeded for 5-6 months. This drug additionally conceals the withdrawal manifestations up to a degree. It additionally helps in enhancing the liver capacity and detoxifying the body. 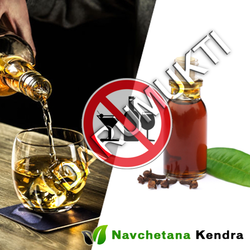 The Ayurveda natural medication for Alcohol fixation is protected and has no reactions. It is mix of numerous herbs. It is in powder shape and pressed in little sachets as per day by day portions, give 1 sachet day by day. It very well may be given with or without the learning of the dependent individual by blending in any of the veg or non veg sustenance thing without changing the shading or taste of that nourishment thing. The natural powder can be sprinkled on Cooked nourishments, can be blended with veg and Non veg Curries, Fruit juices, stuffing of parantha, curd, Daal, omelet and so forth. On the off chance that you yourself need to take the drug, you can take it with water. Results can be found in 15 - 20 days that the craving for liquor gets diminished. Medication is to be proceeded for 5-6 months. This prescription likewise conceals the withdrawal side effects up to a degree. It likewise helps in enhancing the liver capacity and detoxifying the body. This is 100 percent ensured beyond any doubt Ayurvedic medication to stop from habit . The medication does not have any reactions and any sustenance diet control isn't required .This Ayurvedic drug is protected to use for the patients with diabetes and circulatory strain and notwithstanding for patients with heart illnesses. The Ayurveda natural drug for Alcohol enslavement is protected and has no reactions. It is mix of numerous herbs. It is in powder shape and pressed in little sachets as indicated by day by day portions, give 1 sachet day by day. It tends to be given with or without the learning of the dependent individual by blending in any of the veg or non veg sustenance thing without changing the shading or taste of that nourishment thing. The home grown powder can be sprinkled on Cooked nourishments, can be blended with veg and Non veg Curries, Fruit juices, stuffing of parantha, curd, Daal, omelet and so forth. On the off chance that you yourself need to take the drug, you can take it with water. Results can be found in 15 - 20 days that the craving for liquor gets diminished. Prescription is to be proceeded for 5-6 months. This drug additionally conceals the withdrawal side effects up to a degree. It additionally helps in enhancing the liver capacity and detoxifying the body. This is 100 percent ensured beyond any doubt Ayurvedic prescription to stop from dependence. The drug does not have any symptoms and any nourishment diet control isn't require. This Ayurvedic medication is sheltered to use for the patients with diabetes and circulatory strain and notwithstanding for patients with heart infections. 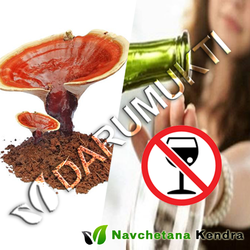 The Ayurveda natural medication for Alcohol compulsion is sheltered and has no reactions. It is blend of numerous herbs. It is in powder shape and pressed in little sachets as indicated by day by day dosages, give 1 sachet every day. It tends to be given with or without the information of the dependent individual by blending in any of the veg or non veg sustenance thing without changing the shading or taste of that nourishment thing. The home grown powder can be sprinkled on Cooked sustenances, can be blended with veg and Non veg Curries, Fruit juices, stuffing of parantha, curd, Daal, omelet and so on. In the event that you yourself need to take the medication, you can take it with water. Results can be found in 15 - 20 days that the craving for liquor gets diminished. Medication is to be proceeded for 5-6 months. This prescription additionally conceals the withdrawal manifestations up to a degree. It likewise helps in enhancing the liver capacity and detoxifying the body. This is 100 percent ensured beyond any doubt Ayurvedic drug to stop from dependence . The prescription does not have any symptoms and any sustenance diet control isn't required .This Ayurvedic medication is sheltered to use for the patients with diabetes and pulse and notwithstanding for patients with heart maladies. Cost is Rs 1950/ - for 2 months Medicine in addition to No messenger charges. We are putting forth Alcohol De Addiction Natural Powder. The Ayurveda home grown drug for Alcohol enslavement is sheltered and has no symptoms. It is mix of numerous herbs. It is in powder frame and stuffed in little sachets as indicated by day by day portions, give 1 sachet day by day. It very well may be given with or without the information of the dependent individual by blending in any of the veg or non veg sustenance thing without changing the shading or taste of that nourishment thing. The natural powder can be sprinkled on Cooked nourishments, can be blended with veg and Non veg Curries, Fruit juices, stuffing of parantha, curd, Daal, omelet and so on. In the event that you yourself need to take the drug, you can take it with water. Results can be found in 15 - 20 days that the craving for liquor gets diminished. Prescription is to be proceeded for 5-6 months. This drug likewise conceals the withdrawal manifestations up to a degree. It likewise helps in enhancing the liver capacity and detoxifying the body. This is 100 percent ensured beyond any doubt Ayurvedic drug to stop from fixation . The drug does not have any symptoms and any sustenance diet control isn't required .This Ayurvedic medication is sheltered to use for the patients with diabetes and circulatory strain and notwithstanding for patients with heart infections. Cost is Rs 2850/ - for 3 months Medicine in addition to No messenger charges. The Ayurveda natural medication for Alcohol dependence is sheltered and has no symptoms. It is mix of numerous herbs. It is in powder frame and stuffed in little sachets as indicated by every day dosages, give 1 sachet day by day. It tends to be given with or without the information of the dependent individual by blending in any of the veg or non veg nourishment thing without changing the shading or taste of that sustenance thing. The home grown powder can be sprinkled on Cooked nourishments, can be blended with veg and Non veg Curries, Fruit juices, stuffing of parantha, curd, Daal, omelet and so on. In the event that you yourself need to take the prescription, you can take it with water. Results can be found in 15 - 20 days that the longing for liquor gets decreased. Drug is to be proceeded for 5-6 months. This medication likewise conceals the withdrawal side effects up to a degree. It additionally helps in enhancing the liver capacity and detoxifying the body. This is 100 percent ensured beyond any doubt Ayurvedic drug to stop from enslavement. The medication does not have any reactions and any sustenance diet control isn't required. This Ayurvedic prescription is protected to use for the patients with diabetes and circulatory strain and notwithstanding for patients with heart infections. 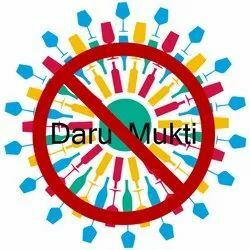 We are putting forth Alcohol De-Addiction Ayurvedic Medicine. The Ayurveda homegrown medication for Alcohol enslavement is protected and has no symptoms. It is mix of numerous herbs. It is in powder shape and stuffed in little sachets as per day by day portions, give 1 sachet day by day. It tends to be given with or without the information of the dependent individual by blending in any of the veg or non veg sustenance thing without changing the shading or taste of that nourishment thing. The natural powder can be sprinkled on Cooked sustenances, can be blended with veg and Non veg Curries, Fruit juices, stuffing of parantha, curd, Daal, omelet and so forth. On the off chance that you yourself need to take the medication, you can take it with water. Results can be found in 15 - 20 days that the craving for liquor gets diminished. Prescription is to be proceeded for 5-6 months. This drug likewise conceals the withdrawal indications up to a degree. It additionally helps in enhancing the liver capacity and detoxifying the body. This is 100 percent ensured beyond any doubt Ayurvedic medication to stop from enslavement . The drug does not have any symptoms and any sustenance diet control isn't required .This Ayurvedic medication is protected to use for the patients with diabetes and circulatory strain and notwithstanding for patients with heart maladies. The Ayurveda home grown medication for Alcohol dependence is protected and has no symptoms. It is mix of numerous herbs. It is in powder frame and stuffed in little sachets as indicated by day by day dosages, give 1 sachet day by day. It very well may be given with or without the learning of the dependent individual by blending in any of the veg or non veg sustenance thing without changing the shading or taste of that nourishment thing. The natural powder can be sprinkled on Cooked nourishments, can be blended with veg and Non veg Curries, Fruit juices, stuffing of parantha, curd, Daal, omelet and so forth. On the off chance that you yourself need to take the drug, you can take it with water. Results can be found in 15 - 20 days that the longing for liquor gets decreased. Drug is to be proceeded for 5-6 months. This medication additionally conceals the withdrawal manifestations up to a degree. It likewise helps in enhancing the liver capacity and detoxifying the body. This is 100 percent ensured beyond any doubt Ayurvedic medication to stop from dependence. The medication does not have any reactions and any nourishment diet control isn't required. This Ayurvedic prescription is sheltered to use for the patients with diabetes and circulatory strain and notwithstanding for patients with heart sicknesses. The Ayurveda home grown prescription forAlcohol, smoking and tobacco compulsion is protected and has no symptoms. It is blend of numerous herbs. It is in powder shape and stuffed in little sachets as indicated by day by day dosages, give 1 sachet day by day. It very well may be given with or without the learning of the dependent individual by blending in any of the veg or non veg sustenance thing without changing the shading or taste of that nourishment thing. The natural powder can be sprinkled on Cooked sustenances, can be blended with veg and Non veg Curries, Fruit juices, stuffing of parantha, curd, Daal, omelet and so forth. In the event that you yourself need to take the drug, you can take it with water. Results can be found in 15 - 20 days that the longing foralcoholgets decreased. Drug is to be proceeded for 5-6 months. This medication likewise conceals the withdrawal indications up to a degree. It additionally helps in enhancing the liver capacity and detoxifying the body. This is 100 percent ensured beyond any doubt Ayurvedic drug to stop from enslavement . The drug does not have any reactions and any nourishment diet control isn't required .This Ayurvedic medication is sheltered to use for the patients with diabetes and circulatory strain and notwithstanding for patients with heart illnesses. 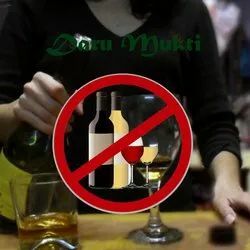 The Ayurveda home grown prescription for Alcohol enslavement is protected and has no reactions. It is blend of numerous herbs. It is in powder frame and stuffed in little sachets as indicated by day by day dosages, give 1 sachet every day. It tends to be given with or without the learning of the dependent individual by blending in any of the veg or non veg nourishment thing without changing the shading or taste of that sustenance thing. The home grown powder can be sprinkled on Cooked sustenances, can be blended with veg and Non veg Curries, Fruit juices, stuffing of parantha, curd, Daal, omelet and so forth. In the event that you yourself need to take the prescription, you can take it with water. Results can be found in 15 - 20 days that the longing for liquor gets diminished. Prescription is to be proceeded for 5-6 months. This drug additionally conceals the withdrawal side effects up to a degree. It additionally helps in enhancing the liver capacity and detoxifying the body. This is 100 percent ensured beyond any doubt Ayurvedic prescription to stop from enslavement. The drug does not have any symptoms and any sustenance diet control isn't required. This Ayurvedic medication is sheltered to use for the patients with diabetes and circulatory strain and notwithstanding for patients with heart illnesses. The Ayurveda home grown drug for Alcohol enslavement is sheltered and has no symptoms. It is blend of numerous herbs. It is in powder frame and stuffed in little sachets as per day by day dosages, give 1 sachet every day. It tends to be given with or without the learning of the dependent individual by blending in any of the veg or non veg sustenance thing without changing the shading or taste of that nourishment thing. The natural powder can be sprinkled on Cooked sustenances, can be blended with veg and Non veg Curries, Fruit juices, stuffing of parantha, curd, Daal, omelet and so on. In the event that you yourself need to take the medication, you can take it with water. Results can be found in 15 - 20 days that the longing for liquor gets decreased. Medication is to be proceeded for 5-6 months. This medication likewise conceals the withdrawal side effects up to a degree. It likewise helps in enhancing the liver capacity and detoxifying the body. This is 100 percent ensured beyond any doubt Ayurvedic drug to stop from compulsion . The prescription does not have any symptoms and any sustenance diet control isn't required .This Ayurvedic drug is protected to use for the patients with diabetes and circulatory strain and notwithstanding for patients with heart sicknesses. 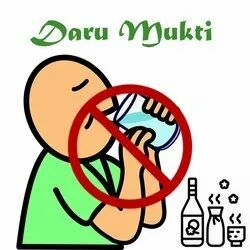 We are putting forth Daru Mukti Dava. The Ayurveda home grown prescription for Alcohol enslavement is protected and has no symptoms. It is mix of numerous herbs. It is in powder shape and stuffed in little sachets as indicated by every day portions, give 1 sachet day by day. It very well may be given with or without the learning of the dependent individual by blending in any of the veg or non veg nourishment thing without changing the shading or taste of that sustenance thing. The home grown powder can be sprinkled on Cooked nourishments, can be blended with veg and Non veg Curries, Fruit juices, stuffing of parantha, curd, Daal, omelet and so on. On the off chance that you yourself need to take the prescription, you can take it with water. Results can be found in 15 - 20 days that the longing for liquor gets decreased. Prescription is to be proceeded for 5-6 months. This medication additionally conceals the withdrawal side effects up to a degree. It likewise helps in enhancing the liver capacity and detoxifying the body. The Ayurveda home grown prescription for Alcohol fixation is sheltered and has no reactions. It is blend of numerous herbs. It is in powder frame and stuffed in little sachets as per day by day dosages, give 1 sachet every day. It very well may be given with or without the learning of the dependent individual by blending in any of the veg or non veg sustenance thing without changing the shading or taste of that nourishment thing. The home grown powder can be sprinkled on Cooked nourishments, can be blended with veg and Non veg Curries, Fruit juices, stuffing of parantha, curd, Daal, omelet and so on. In the event that you yourself need to take the drug, you can take it with water. Results can be found in 15 - 20 days that the longing for liquor gets decreased. Medication is to be proceeded for 5-6 months. This medication likewise conceals the withdrawal manifestations up to a degree. It additionally helps in enhancing the liver capacity and detoxifying the body. This is 100 percent ensured beyond any doubt Ayurvedic medication to stop from fixation . The drug does not have any symptoms and any nourishment diet control isn't required .This Ayurvedic prescription is sheltered to use for the patients with diabetes and circulatory strain and notwithstanding for patients with heart illnesses. Cost is Rs 1950/ - for 2 months Medicine in addition to No - dispatch charges. The Ayurveda home grown drug for smoking , tobacco liquor is protected and has no reactions. It is mix of numerous herbs. It is in powder frame and pressed in little sachets as indicated by day by day dosages, give 1 sachet day by day. It very well may be given with or without the learning of the dependent individual by blending in any of the veg or non veg nourishment thing without changing the shading or taste of that sustenance thing. The natural powder can be sprinkled on Cooked nourishments, can be blended with veg and Non veg Curries, Fruit juices, stuffing of parantha, curd, Daal, omelet and so forth. In the event that you yourself need to take the prescription, you can take it with water. Results can be found in 15 - 20 days that the longing for addictions gets diminished. Medication is to be proceeded for 5-6 months. This prescription additionally conceals the withdrawal side effects up to a degree. It likewise helps in enhancing the liver capacity and detoxifying the body. This is 100 percent ensured beyond any doubt Ayurvedic drug to stop from habit . The medication does not have any symptoms and any sustenance diet control isn't required .This Ayurvedic prescription is sheltered to use for the patients with diabetes and circulatory strain and notwithstanding for patients with heart infections. We are putting forth Alcohol De Addiction Natural Medicine. The Ayurveda home grown prescription for Alcohol enslavement is sheltered and has no reactions. It is mix of numerous herbs. It is in powder frame and stuffed in little sachets as indicated by day by day portions, give 1 sachet day by day. It very well may be given with or without the learning of the dependent individual by blending in any of the veg or non veg sustenance thing without changing the shading or taste of that nourishment thing. The home grown powder can be sprinkled on Cooked nourishments, can be blended with veg and Non veg Curries, Fruit juices, stuffing of parantha, curd, Daal, omelet and so on. In the event that you yourself need to take the drug, you can take it with water. Results can be found in 15 - 20 days that the longing for liquor gets diminished. Prescription is to be proceeded for 5-6 months. This drug additionally conceals the withdrawal side effects up to a degree. It additionally helps in enhancing the liver capacity and detoxifying the body. This is 100 percent ensured beyond any doubt Ayurvedic medication to stop from compulsion . The prescription does not have any reactions and any sustenance diet control isn't required .This Ayurvedic drug is protected to use for the patients with diabetes and pulse and notwithstanding for patients with heart maladies. The Ayurveda home grown drug for Alcohol, smoking and tobacco fixation is protected and has no symptoms. It is blend of numerous herbs. It is in powder shape and stuffed in little sachets as indicated by day by day portions, give 1 sachet day by day. It very well may be given with or without the information of the dependent individual by blending in any of the veg or non veg nourishment thing without changing the shading or taste of that sustenance thing. The home grown powder can be sprinkled on Cooked nourishments, can be blended with veg and Non veg Curries, Fruit juices, stuffing of parantha, curd, Daal, omelet and so on. On the off chance that you yourself need to take the prescription, you can take it with water. Results can be found in 15 - 20 days that the craving for liquor gets decreased. Drug is to be proceeded for 5-6 months. This prescription likewise conceals the withdrawal side effects up to a degree. It likewise helps in enhancing the liver capacity and detoxifying the body. This is 100 percent ensured beyond any doubt Ayurvedic prescription to stop from fixation . The medication does not have any reactions and any sustenance diet control isn't required .This Ayurvedic prescription is protected to use for the patients with diabetes and pulse and notwithstanding for patients with heart illnesses. 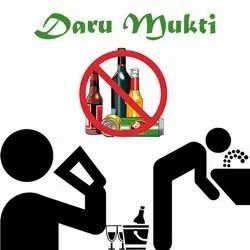 The Ayurveda natural drug for Alcohol compulsion is protected and has no reactions. It is mix of numerous herbs. It is in powder shape and stuffed in little sachets as indicated by day by day dosages, give 1 sachet day by day. It tends to be given with or without the information of the dependent individual by blending in any of the veg or non veg sustenance thing without changing the shading or taste of that nourishment thing. The natural powder can be sprinkled on Cooked nourishments, can be blended with veg and Non veg Curries, Fruit juices, stuffing of parantha, curd, Daal, omelet and so forth. In the event that you yourself need to take the prescription, you can take it with water. Results can be found in 15 - 20 days that the longing for liquor gets decreased. Medication is to be proceeded for 5-6 months. This prescription likewise conceals the withdrawal side effects up to a degree. It likewise helps in enhancing the liver capacity and detoxifying the body. This is 100 percent ensured beyond any doubt Ayurvedic medication to stop from compulsion . The medication does not have any reactions and any sustenance diet control isn't required .This Ayurvedic prescription is sheltered to use for the patients with diabetes and circulatory strain and notwithstanding for patients with heart infections. The Ayurveda home grown drug for Alcohol fixation is protected and has no reactions. It is mix of numerous herbs. It is in powder shape and stuffed in little sachets as indicated by day by day dosages, give 1 sachet day by day. It very well may be given with or without the information of the dependent individual by blending in any of the veg or non veg sustenance thing without changing the shading or taste of that nourishment thing. The home grown powder can be sprinkled on Cooked nourishments, can be blended with veg and Non veg Curries, Fruit juices, stuffing of parantha, curd, Daal, omelet and so forth. In the event that you yourself need to take the prescription, you can take it with water. Results can be found in 15 - 20 days that the craving for liquor gets decreased. Drug is to be proceeded for 5-6 months. This medication additionally conceals the withdrawal side effects up to a degree. It additionally helps in enhancing the liver capacity and detoxifying the body. This is 100 percent ensured beyond any doubt Ayurvedic medication to stop from enslavement . The medication does not have any symptoms and any nourishment diet control isn't required .This Ayurvedic drug is protected to use for the patients with diabetes and circulatory strain and notwithstanding for patients with heart maladies. The Ayurveda home grown medication for Alcohol, smoking and tobacco habit is sheltered and has no reactions. It is blend of numerous herbs. It is in powder shape and pressed in little sachets as per day by day portions, give 1 sachet day by day. It very well may be given with or without the information of the dependent individual by blending in any of the veg or non veg nourishment thing without changing the shading or taste of that sustenance thing. The home grown powder can be sprinkled on Cooked sustenances, can be blended with veg and Non veg Curries, Fruit juices, stuffing of parantha, curd, Daal, omelet and so forth. In the event that you yourself need to take the medication, you can take it with water. Results can be found in 15 - 20 days that the longing for liquor gets decreased. Prescription is to be proceeded for 5-6 months. This medication likewise conceals the withdrawal side effects up to a degree. It likewise helps in enhancing the liver capacity and detoxifying the body. This is 100 percent ensured beyond any doubt Ayurvedic medication to stop from enslavement . The drug does not have any reactions and any sustenance diet control isn't required .This Ayurvedic medication is protected to use for the patients with diabetes and pulse and notwithstanding for patients with heart sicknesses. The Ayurveda home grown drug for Alcohol dependence is sheltered and has no symptoms. It is mix of numerous herbs. It is in powder shape and pressed in little sachets as indicated by every day portions, give 1 sachet day by day. It very well may be given with or without the learning of the dependent individual by blending in any of the veg or non veg sustenance thing without changing the shading or taste of that nourishment thing. The home grown powder can be sprinkled on Cooked sustenances, can be blended with veg and Non veg Curries, Fruit juices, stuffing of parantha, curd, Daal, omelet and so forth. On the off chance that you yourself need to take the medication, you can take it with water. Results can be found in 15 - 20 days that the longing for liquor gets decreased. Medication is to be proceeded for 5-6 months. This prescription likewise conceals the withdrawal manifestations up to a degree. It likewise helps in enhancing the liver capacity and detoxifying the body. This is 100 percent ensured beyond any doubt Ayurvedic medication to stop from habit . The medication does not have any reactions and any sustenance diet control isn't required .This Ayurvedic prescription is sheltered to use for the patients with diabetes and circulatory strain and notwithstanding for patients with heart sicknesses. Cost is Rs 1950/ - for 2 months Medicine in addition to Rs No messenger charges. We are putting forth De Addiction Patient Medicine. The Ayurveda home grown drug for liquor, smoking and tobacco habit is sheltered and has no reactions. It is blend of numerous herbs. It is in powder shape and stuffed in little sachets as indicated by every day portions, give 1 sachet day by day. It very well may be given with or without the information of the dependent individual by blending in any of the veg or non veg nourishment thing without changing the shading or taste of that sustenance thing. The home grown powder can be sprinkled on Cooked sustenances, can be blended with veg and Non veg Curries, Fruit juices, stuffing of parantha, curd, Daal, omelet and so on. On the off chance that you yourself need to take the drug, you can take it with water. Results can be found in 15 - 20 days that the longing for addictions gets diminished. Prescription is to be proceeded for 5-6 months. This drug likewise conceals the withdrawal side effects up to a degree. It additionally helps in enhancing the liver capacity and detoxifying the body. This is 100 percent ensured beyond any doubt Ayurvedic prescription to stop from fixation . The prescription does not have any reactions and any nourishment diet control isn't required .This Ayurvedic drug is sheltered to use for the patients with diabetes and circulatory strain and notwithstanding for patients with heart infections. The Ayurveda home grown drug for Alcohol fixation is protected and has no reactions. It is blend of numerous herbs. It is in powder shape and pressed in little sachets as indicated by day by day dosages, give 1 sachet day by day. It very well may be given with or without the information of the dependent individual by blending in any of the veg or non veg nourishment thing without changing the shading or taste of that sustenance thing. The home grown powder can be sprinkled on Cooked sustenances, can be blended with veg and Non veg Curries, Fruit juices, stuffing of parantha, curd, Daal, omelet and so forth. On the off chance that you yourself need to take the prescription, you can take it with water. Results can be found in 15 - 20 days that the longing for liquor gets diminished. Drug is to be proceeded for 5-6 months. This medication additionally conceals the withdrawal indications up to a degree. It additionally helps in enhancing the liver capacity and detoxifying the body. This is 100 percent ensured beyond any doubt Ayurvedic medication to stop from habit . The medication does not have any symptoms and any nourishment diet control isn't required .This Ayurvedic prescription is sheltered to use for the patients with diabetes and circulatory strain and notwithstanding for patients with heart maladies. NAVCHETANA KENDRA, which has been deeply involved in the national campaign of 'DARU MUKTI'. It is our privilege to inform that our efforts to make our nation free from alcohol addiction are still spreading all over India with great success. 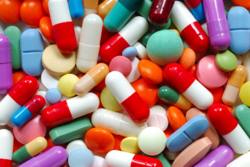 Till now about half millions addicted people are benefited with our medicines. They have not only saved their own life but have also saved their families. - Hangovers: Headaches, nausea, vomiting, aches and pains all result from drinking too much. Drinking to the point of drunkenness makes you sick. - High blood pressure: Along with being overweight, high blood pressure is associated with many serious health problems. - Depressed immune system: Impaired immunity makes you more likely to contract viral illnesses such as flu and infections. - Liver disease: Heavy drinking can cause fatty liver, hepatitis, cirrhosis and cancer of the liver. The liver breaks down alcohol at the rate of only one drink per hour. - Alcohol poisoning: Drinking large amounts can result in alcohol poisoning, which causes unconsciousness and even death. Breathing slows, and the skin becomes cold and may look blue. Don't let a person in this condition "sleep it off." - Heart or respiratory failure: Excessive drinking can have serious results. Heart or respiratory failure often means death. This medicine comes in the form of 30 sachet for one month. Each sachet contains powder weighing 1.5 gm. In initial 15 to 20 days, you have to give half packet by mixing in any food item in morning breakfast.Like for example if patients take tea in the morning then u could mix the half packet while boiling the water along with sugar and tea. Also you can addcardamom & ginger just to counter the taste then mix the milk and give it to patient without telling him. Then after 15 days 1 full packet dose has to be continued. This medicine is completely Ayurvedic and will not show any kind of side effect like vomiting or nausea.It will not interfere with any kind of medication like for BP and Sugar. It will only show its effect on the desire of alcohol which will be greatly reduced within 1 month. You may not notice any difference in the first 15 days but will notice the difference within the the 1st moth itself. Mostly patients do quit alcohol within 5-6 months. but in some it will take 8-9 months so it varies from person to person. 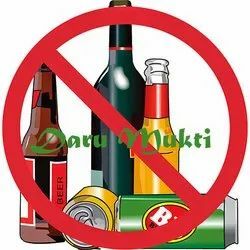 But the ultimate result is that patient do quit alcohol.Even if the patient quit alcohol in the 1st or 2nd month then also you have to continue with the medicine till 6-8 months. The medicine should not be stopped suddenly but it has to stopped by tapering the dose for the long term effect. How to quit alcohol consumption easily? 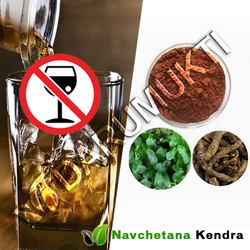 The Ayurveda herbal medicine for Alcohol addiction is safe and has no side effects It is combination of many herbs. It is in powder form and packed in small sachets according to daily doses. It can be given with or without the knowledge of the addicted person by mixing in any of the veg or non veg food item without changing the color or taste of that food item. The herbal powder can be sprinkled on Cooked foods, can be mixed with veg & Non veg Curries, Fruit juices, Tea, Coffee, stuffing of parantha, curd, Daal, omelet etc. Results can be seen in 15 -20 days that the desire for alcohol gets reduced. Medicine is to be continued for 5-6 months. This medicine also covers up the withdrawal symptoms up to an extent. It also helps in improving the liver function and detoxifying the body. - Hangovers Headaches, nausea, vomiting, aches and pains all result from drinking too much. Drinking to the point of drunkenness makes you sick. - High blood pressure Along with being overweight, high blood pressure is associated with many serious health problems. - Depressed immune system Impaired immunity makes you more likely to contract viral illnesses such as flu and infections. - Liver disease Heavy drinking can cause fatty liver, hepatitis, cirrhosis and cancer of the liver. The liver breaks down alcohol at the rate of only one drink per hour. - Alcohol poisoning Drinking large amounts can result in alcohol poisoning, which causes unconsciousness and even death. Breathing slows, and the skin becomes cold and may look blue. Don't let a person in this condition "sleep it off." - Heart or respiratory failure Excessive drinking can have serious results. Heart or respiratory failure often means death. Generally, you would see numerous advertisements, projects and news about de-addictiontreatment and drugs. Addiction is something extremely disturbing to the life. The life not simplyconstrained to the life of the person who is dependent, rather it influences the family,neighborhood, and even the society in a board setting. The alcohol effects on kidney andtherefore serious damage on that part is also assured.By stoutness and related lifestyle diseases, addiction has turned into a prevalent stress for thehumanity. From adolescents to moderately aged men, many are dependent towards smoking,alcohol and medication. Now and again, you may discover your child or a youngster all of asudden seem to have lost enthusiasm for studies, or work or a prominent distinction in state ofmind and behavior. When you look into the eating routine or routines, you will be stunned withthe revelation.To end alcohol use and abuse, it is time for you to take a proper step. If it is about your ownrecovery or for your loved ones, you will need to have the best options for the same and that alsowithin a short time. There are different treatments that are available now, but when it comes tothe proper treatment without any side effect, then you need to be careful in every way. This iswhere Ayurveda comes in with all the supports thanks to the Alcohol De Addiction MedicineSupplier. 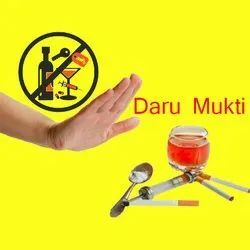 The Ayurveda medicines have a wide and long term effect which makes them absolutesolutions for the proper respite from such addictions.Now that the new ayurvedic medicines for over drinking alcohol remedies are coming in satchetpackets, it is very easy to mix them with different kinds of food items and make the patientconsume it. At the preliminary time, one can use it for 15 days. But if one need permanent result,make it is for sure that you would use it for more than 5 to 6 months. The result will definitely beeffective in every way. As opening dosage, you can start with ½ sachet a day and eventually leadit to one sachet a day. The dosages really work fast and within 15 days of usage you will benoticing the signs of recovery from the addiction. The process is not as simple as you can thinkof and there are some initial side effects also. But the end result is really useful and that is whatmakes this whole process all the more perfect. Packaging Details: The Ayurveda herbal medicine for Alcohol and Nicotine and drug addiction is safe and has no side effects It is combination of many herbs. It is in powder form and packed in small sachets according to daily doses. For starting 6 to 12 days , give 1/2 sachet and after that give 1 sachet. It can be given with or without the knowledge of the addicted person by mixing in any of the veg or non veg food item without changing the color or taste of that food item. The herbal powder can be sprinkled on Cooked foods, can be mixed with veg & Non veg Curries, Fruit juices, Tea, Coffee, stuffing of parantha, curd, Daal, omelet etc. Results can be seen in 15 -20 days that the desire for addictions gets reduced. Medicine is to be continued for 5-6 months. This medicine also covers up the withdrawal symptoms up to an extent. It also helps in improving the liver function and detoxifying the body.This is 100 percent guaranteed sure Ayurvedic medicine to quit from addictions. The medicine does not have any side effects and any food diet control is not required .This Ayurvedic medicine is safe to use for the patients with diabetes and blood pressure and even for patients with heart diseases.